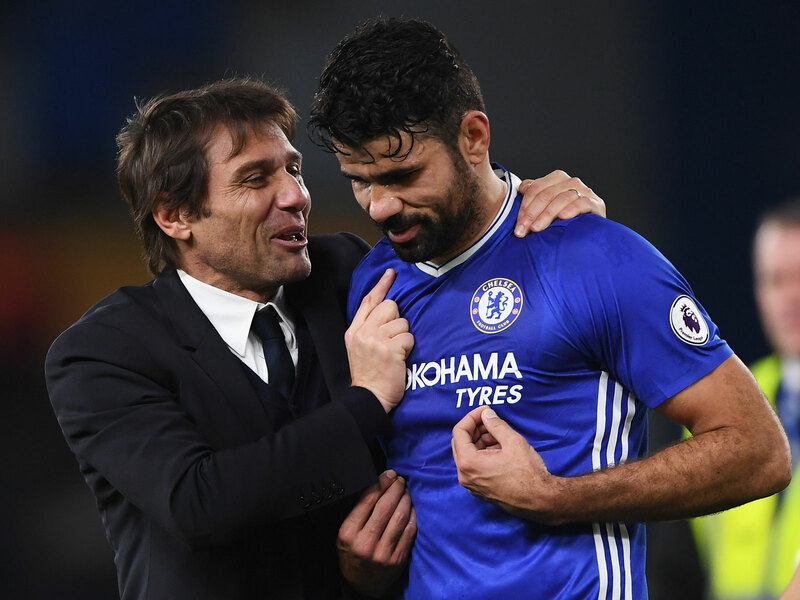 Antonio Conte and Chelsea's board appear to be at odds, the Diego Costa saga is unsolved and the Blues appear thinned out and unprepared to successfully defend their Premier League title. As Antonio Conte emerged from the Wembley tunnel before the Community Shield, there came the first clear sign of trouble ahead. He wasn’t wearing the navy club suit he had sported throughout last season but a tracksuit, and as anybody who has studied the semiotics of football-manager fashion knows, that meant problems. Two years earlier, Jose Mourinho had emerged from the same tunnel for the same fixture against the same opposition conspicuously unshaven, wearing a baggy T-shirt and tracksuit bottoms. Conte at least looked neater than that, but the message was the same. He is not Tony Pulis, who has made the tracksuit, baseball cap and bright white trainers his own, a sartorial representation of his preference for the functional over the stylish. By dressing down, Conte was saying that, in some way, he wasn’t taking the game as seriously as he had taken all those games last season when he dressed in a more business-like way. What was about to happen wasn’t his fault. When Conte then turned up to the first Premier League game of the season in a tracksuit, it was clear that, once again, Chelsea had conjured a crisis out of clear blue sky. Defeat on penalties to Arsenal in the Community Shield could be shrugged off; defeat to Burnley with two men sent off could not–or at least, not in the way it happened. After Gary Cahill had been shown a 13th-minute red card, Chelsea capitulated, conceding three times. Cesc Fabregas’s dismissal for sarcastically applauding the referee and then making a spiteful high challenge was a disgrace, an act of unprofessional petulance that reflected the general sense of disillusionment at the club; this feels like a project spinning out of control. So how on earth has it come to this, just three months after Chelsea won the title so emphatically? How can it be that Chelsea goes to Wembley on Sunday to face the Tottenham side that pushed it closest last season struggling to put out 11 senior players? Once again Chelsea, having won the title, has spent the summer undermining itself. The warning signs were there. Although a deal was agreed in principle before last season’s FA Cup final, Conte didn’t sign his new contract until July and even then it was merely for more money; there was no extension. Perhaps he simply wants to keep his options open, perhaps he misses Italy too much to be away beyond 2019, but the suggestion was that he was frustrated, even as the club allowed him to add two of his compatriots to the coaching staff, in part replacing Steve Holland who left to join Gareth Southgate’s England setup in May. But the real issue is signings–as it was, in part, for Mourinho before him. It’s clear that games are being played and that it suits both Conte and Mourinho to focus on the operations of the transfer committee, comprising the technical director Michael Emenalo and board members Marina Granovskaia and Eugene Tenenbaum, but it’s also fairly clear that they have a point. Chelsea last season had no European football to deal with and was fortunate with injuries. Nine players started 30 or more league games, with Victor Moses close behind at 29 and Pedro at 26. That is an unusual level of consistency. There was probably a need to strengthen the squad anyway, but with Champions League added to the equation, it probably needed expanding by four or five names. It’s true Chelsea has spent $165 million on signing Alvaro Morata, Tiemoue Bakayoko and Antonio Rudiger, as well as bringing in Willy Caballero on a free transfer. But each of those four simply replaces an existing squad member: Diego Costa, Nemanja Matic, John Terry and Asmir Begovic. The net spend is only around $25 million. The squad may be stronger, but it is not bigger. Morata and Rudiger weren’t even first choices but Plan B material after deals for Romelu Lukaku and Leonardo Bonucci failed to materialize. Family issues meant Bonucci was never going to leave Italy, but the failure to land Lukaku when the deal had seemed all but done was baffling. Conte has made it clear he did not want to sell Matic, although the club has since briefed that the manager doubted the midfielder’s mobility and motivation and that the deal did have his approval. The Diego Costa situation, though, is indisputably of Conte’s doing. The manager had lost faith in striker, whose level dipped after he failed to force a move last January, and Conte sent him a text telling him he was no longer part of his plans. Since then Diego Costa has remained in Brazil, seemingly trying to force a transfer to Atletico Madrid, although his former club is banned from signing anybody until January. Legal action has been threatened on both sides. The result is tension between manager and board, and, with numerous young players who might have stepped up sent out on loan (five Chelsea players started for other Premier League clubs on the opening day of the season), a slender squad remains. With Eden Hazard and Bakayoko only just returning to fitness, Cahill and Fabregas suspended and Pedro a doubt with the ankle problem he suffered in making the foul that got him sent off in the Community Shield, that squad is under significant strain heading into Sunday’s game. Tottenham’s first home league fixture at Wembley and a clash between first and second would always have been a huge game. The immediate context, though, makes this about Chelsea trying to stave off another post-championship season of chaos. What Conte is wearing should offer the first clue as to how he expects the game to go.